Above you can see a bird landing in the water and I think it is a Black-Headed Gull. Their appearance is tricky, because they look different depending on the age, if they are female or male, and depending on the season because they can be in winter plumage. 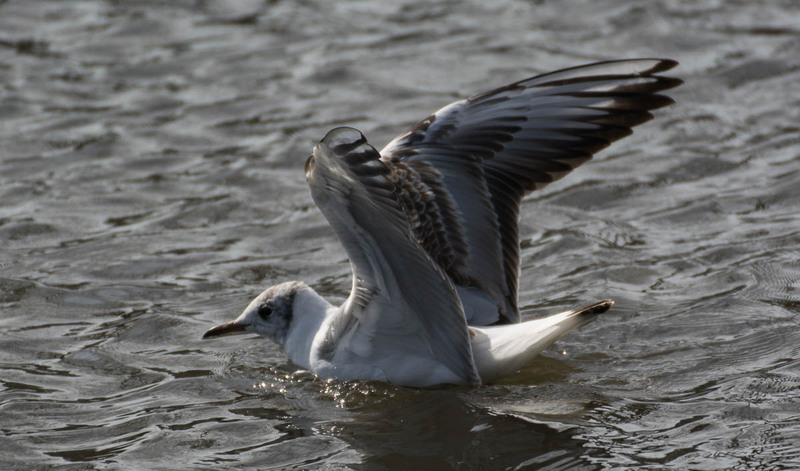 In my photo collection of black-headed gulls, you can see how they always look different. Also with the Google image search you can see the difference appearances. If you like, you can find more bird photos on my blog. [ Smiles ] Now, that is a priceless, shot!